A clogged gutter system isn't in our vocabulary. 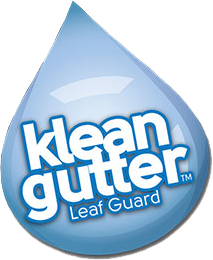 Gutters play a huge role in the health of your roof system and the integrity of your home. A damaged gutter system can cause challenges within your residence - from the siding to the foundation, and of course, the roof itself. Left unattended, a damaged gutter system can cause much larger problems down the road. Through regular gutter maintenance and repair, our expert team at Save Now Remodeling will help you protect your system for years to come. Is your system in need of repair? From the smallest detail to complete system overload, we can take care of all of this for you. Our gutter repair services include re-nailing loose gutters, re-strapping loose leaders, replacing damaged leaders and much more! Don't let your system fall victim to decay. Simply trust the team at Save Now Remodeling to ensure your gutter will be in top condition for years! Downspout drainpipes are in integral part of your gutter system. They serve the necessary purpose of directing water off the roof and into the designated outlet. Should you have a damaged downspout, this can cause big problems for your roof, siding, foundation and much more. We will quickly work to find the root of the problem, and repair or replace any downspout. Gutter shields are the perfect pay to protect your system against all unwanted debris! With one simply installation, you don't have to fear that your gutters can quickly be blocked. Instead, sit back and relax knowing you're well protected. We can provide you with affordable gutter shield installation backed by our strong reputation and satisfaction guaranteed!